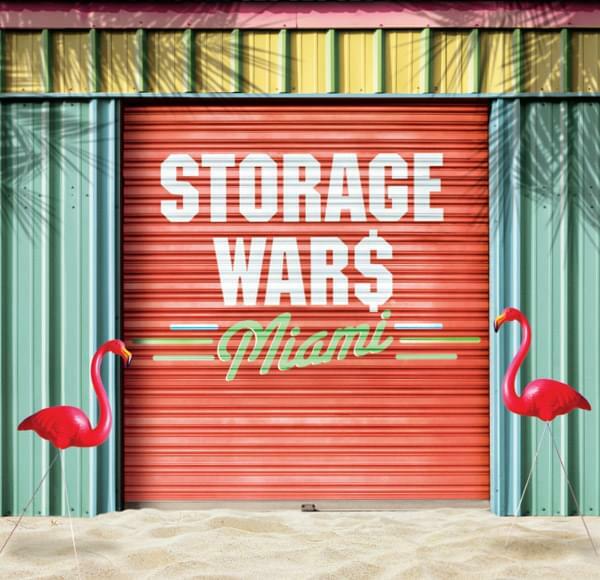 The first season of A&E’s new show Storage Wars: Miami wrapped up last week and in those 10 episodes we saw a feisty group of buyers & auctioneers placing their bets on lockers across Miami hoping they would find some treasure behind those doors. If we may point this out right now, we were actually one of the lucky few storage locations to be featured on the show, appearing on episode 1 and helping the bidding season kick off. Season 1 had plenty of great finds and after seeing what our favorite bidders took home on each episode, we set out to do some digging of our own to choose our top 7 favorite items scored in these Florida lockers. Read below to see if your favorite items made the list! Our favorite item of the season came on episode 7 via Greg and Lindsey’s wickedly cool vampire hunting kit replica. The attention to detail was fascinating to say the least and, as a whole, the kit just looked like it was the sort of thing people centuries ago would have wished they could have their hands on if they ever faced an encounter with Dracula. The only thing that would have made this find any cooler would be if the kit was an authentic one from way back when. Either way, fighting vampires with new or old kits is awesome, no matter what. The title alone should give you a clue of just how good this find was. 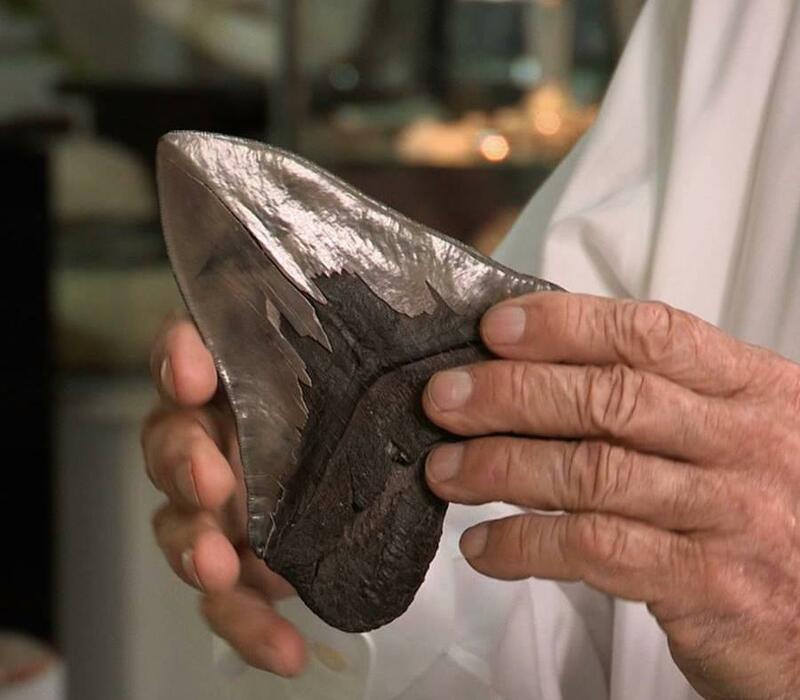 The beauty about this clip is that it’s not just one find, but rather a fine collection of pieces that far out-value the $2,600 that Maydel forked up to win it. Designer luggage, a piano, vintage furniture. What doesn’t this locker have? It’s also important to point out that the bidding war that ensued was just as good as anything Maydel found inside! It’s always a good day in the Storage Wars world when you find precious metals! Greg and Lindsey won big four episodes bars upon bars of silver in one of their newly-acquired lockers. What’s the “silver lining”? $1,974! 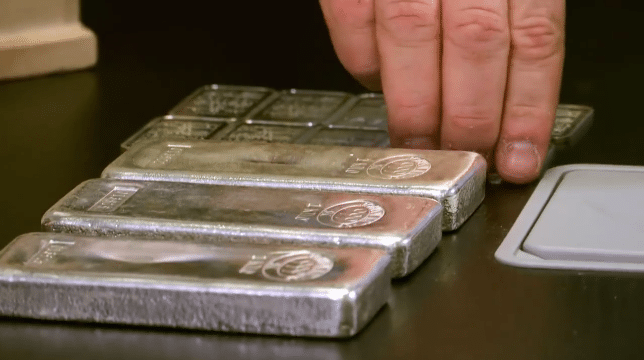 Finding gold is always good, but finding silver can be pretty alright too we must say. Masterfully and intricately sculptured, potentially illegal ivory dominoes were Yorgen and Cristian’s big find in episode 8. Don’t get us wrong, it’s sad how these had to be created, but it hurts just a little less knowing these were crafted about 100 years ago. What would Florida be if not for its gators? Well, probably still a nice place, but it wouldn’t be the Florida we know and that’s not a world we want to live in! In episode 4 Kevin’s bidding won him an alligator head that he took back to its natural habitat in the Everglades to get evaluated but while there he was met by real live gators expressing their disapproval that Kevin was holding one of their own in his hands. Despite the hissing, Kevin walked away with a head that can retail for $300. 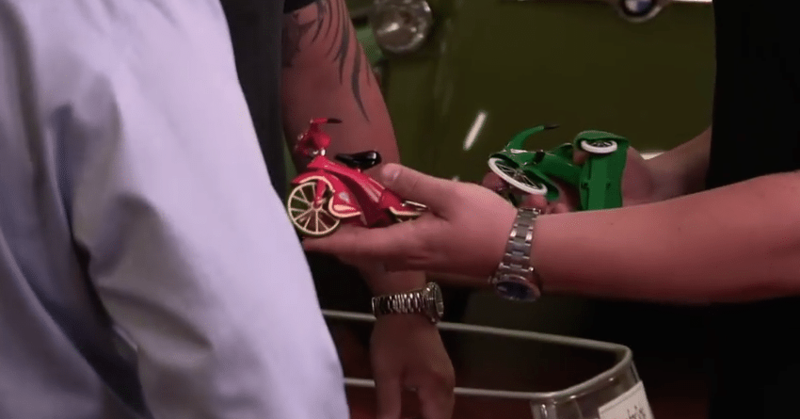 The cousin duo found some vintage-styled Skyking tricycles in episode 5 that hit you in your nostalgia bone. They were pretty close to the original-run mini trikes so these reproductions still managed to be valued at $25o a piece. However, there’s two parts to this clip. Right before getting these evaluated, Yorgen decided to ride out in his new find and the poor thing barely held on for dear life, suffering a damaged front wheel in its last ride. The loss? A potential $300 piece. Yorgen, how could you?